There’s a growing trend in PC gaming towards a more subtle, stylish aesthetic. It’s something that was evident from the show floor at Computex last week and seems to be continuing on the other side of the world at E3 right now. 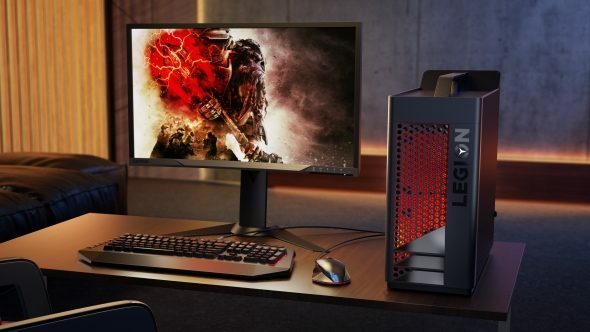 Lenovo is the latest to force its gaming range to grow up with a less “juvenile look” for its latest Legion range unveiled at E3. The traditional PC gaming aesthetic has long been the classic oversized, sharply angular design, lately augmented with more RGB LED strips than you’ll find on a custom Japanese Lamborghini. That’s starting to change, from more classy peripherals, stylish chassis, and subtle full PC builds. Though all with RGB LEDs. Obvs. The best gaming keyboards don’t have to be the biggest, most ‘gamer design’ boards. Despite the fact Lenovo has redesigned its latest Legion lineup to be less aimed at teenage icafe boys, and more at the people who can actually afford to drop a few grand on a gaming machine, it has still teamed up with Corsair for its laptop keyboards… RGB LEDs and all. That means as well as having a multi-coloured, backlit keyboard on the new Legion laptops you also get access to the impressive Corsair iCUE lighting and monitoring software. You’re not just limited to tweaking the rainbow across your keyboard, you can also sync the lighting effects across the laptop as a whole too. Lighting aside, the actual design is a lot simplistic, almost industrial, with the new laptop range. It’s got a clean anodised aluminium frame and a new twin chamber cooling design to deliver cooler, quieter gaming performance. 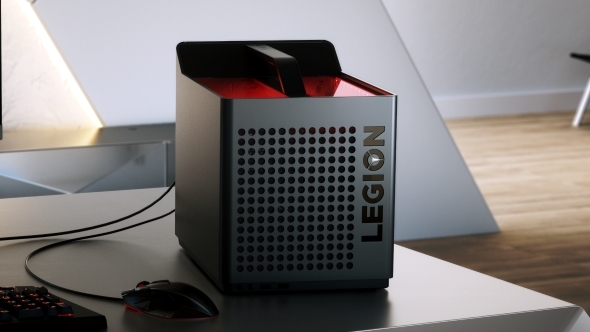 The new, stylish design has been carried through to the two new Legion desktop designs too, with a standard tower chassis and a smaller 19 litre mini-ITX case. The little cube case has a transparent window in the roof of the machine and a large grill at the to aid in the airflow. The larger chassis has the same design notes on its front grill, but uses it more to display its own RGB lighting system. The desktop machines, however, haven’t been fitted out with Corsair’s iCUE compatibility, which is a shame as it’s easily the best lighting software around right now. The internals are all pretty standard – Intel CPUs and Nvidia graphics cards – but that also means they’re ready for future upgrades. Indeed Lenovo seems to have told Neowin the machines will be kitted out with the new GTX 1100 / 2000 series graphics cards from Nvidia as and when they’re released. Though when you’ll see a GTX 1180 in a Lenovo machine is still very much up for debate outside of Santa Clara. 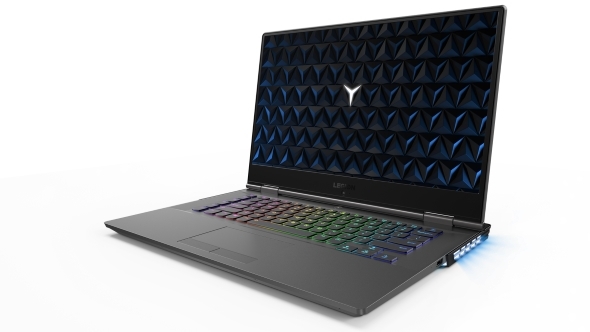 The Lenovo Legion Y730 and Y530 laptops will be available from September and June respectively, while the desktop T730 and T530 tower, and C730 and C530 micro machines, will be available in August. But Lenovo isn’t the only company taking a more stylish approach to its modern gaming products. At Computex this year I saw lots of bizarre, extravagant PC designs, and the show was still awash with booth babe anachronisms, but the new products being displayed were almost all far more grown up. 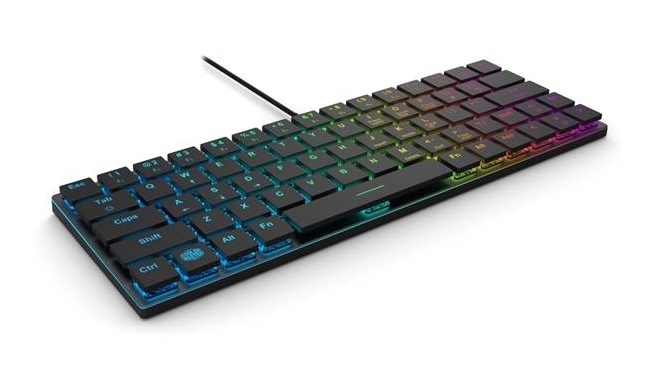 There were a host of smart new case designs from Corsair, Lian Li, and Cooler Master, to name but a few, and the gaming keyboard market is bringing us some of the most gorgeous little boards I’ve ever seen. From the clean Ducky One 2 to the svelte Cooler Master SK620, gaming peripherals genuinely seem to have finally matured. Nowhere is that more obvious than with Tesoro. I’ve known of the company for years, but the first keyboards and mice I used from it were the classically overblown, over-designed style. At Computex, however, it was showing off some lovely new minimalist boards, such as the low-profile Gram XS.